What Does Elon Musk Really Think About Humans? It can be fairly said that Elon Musk thinks outside the box. Whether it is bringing electric cars to the masses, transforming the utility grid with battery storage, creating cars that drive themselves, or building rockets that fly themselves back home after a launch, Musk is not constrained by conventional wisdom. He gets an idea in his head — like digging tunnels underground to reduce urban congestion — and the next day, he has people working on ways to make his idea a reality. One of his ideas the past two years has been to disrupt the world of manufacturing. If enough robots are pressed into service, the pace of production could be increased dramatically — perhaps as much as 10 times. Musk can envision an assembly line that runs so fast, human workers won’t be able to keep up. Speaking at a shareholders meeting in June of 2016, Musk described his vision of “building the machine that makes the machine,” a production facility more advanced than anything else in human experience. He said the Gigafactory in Nevada was being designed “like you’d design an advanced computer.” He said all of the pieces of the factory will be optimized to be as efficient as possible. Engineers who design production facilities usually find their work is constrained by limitations imposed on them by the company. “We explain those walls don’t exist here,” Musk says. 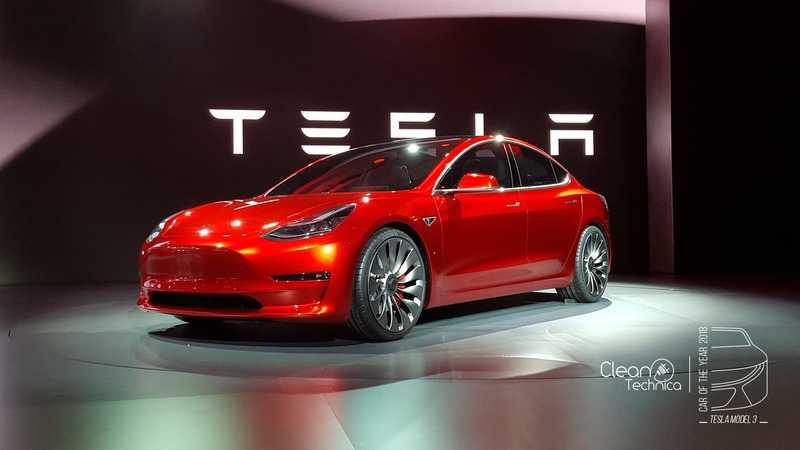 Now it appear that Tesla has gone on a hiring binge as it seeks to find the proper mix of people and machines that will get cars out the door and into the hands of customers as quickly as possible. For those who worry machines will take away jobs and put workers on unemployment, this reversal may provide some comfort. But all is not well in Tesla Town. Some of those underrated humans say racial discrimination is a major issue inside the company. In particular, a father and son team who worked at the Fremont factory have sued Tesla, claiming they were humiliated by company personnel who hurled racial epithets at them and drew offensive caricatures of African Americans with big lips and bones in their hair in areas where they worked. They allege they were often the subject of taunts about going back to Africa, according to a report by Bloomberg. The suit is moving forward only because both men were not employed directly by Tesla but rather by subcontractors. Tesla employees are required to arbitrate all disputes with the company, an arrangement that is becoming more common throughout the US. Companies prefer arbitration because it is quick, efficient, and inexpensive. But it may or may not provide an impartial forum for all parties. Arbitrators are just people trying to make a living. Companies hire thousands of arbitrators a year. Private individuals may be involved in arbitration once in a lifetime. If you are a professional arbitrator, the last thing you want to do is annoy the very people your future income depends on. The rise of arbitration is attributable to a crisis in the US court system. Court cases often take years to resolve and can cost hundreds of thousands of dollars in legal fees. Lawyers get paid by the hour, so they have every incentive to drag the process out in order to pad their bills. Arbitration also has one other advantage that corporations love — it is a private process. No reporters, no press conferences. The entire process is conducted far from public scrutiny. It is no coincidence that people like Donald Trump want to force others into signing arbitration agreements if they have something to hide. Arbitration is growing like kudzu. If you have a credit card or an online account, you have probably agreed to submit any complaint you have to arbitration and don’t even know it. The terms of most arbitration agreements prohibit an appeal to any court, although a court may enforce the decision of an arbitrator. If you’re getting the idea that mandatory arbitration may not be in the best interest of ordinary people — like you and me — and is yet another way in which corporate power is dominating life in these United States, you aren’t wrong. Using temporary workers supplied by independent contractors is becoming more and more common as well. Companies argue it is a way for them to hire people when they need them without making a long-term commitment to them. The process gives them flexibility to manage their operations efficiently. They pay the staffing company, which takes a percentage of the wages paid and passes the remainder on to the employee. What the companies don’t say is that using third-party contractors means the temporary employees are entitled to no benefits — no paid holidays, no sick leave, no retirement, and no medical coverage. Some might suggest those temporary workers are little different than the robots on a production line. During the Obama administration, the National Labor Relations Board made it easier for a company that uses contract labor to be considered a “joint employer,” meaning it owes the same duty to contract workers to avoid discriminatory working conditions as it owes to its own employees. Attorneys for the father and son claiming racial discrimination at the Fremont factory are suing Tesla on the grounds that it is a “joint employer” with the two staffing firms which sent them there to work. The Trump administration is working furiously to undercut the Obama-era rules. The US Supreme Court is scheduled to rule on the practice in June. It doesn’t take a person with the clairvoyant powers of Nostradamus to predict how the court will rule. In the suit, the two men allege that when they brought the boorish behavior to the attention of a Tesla supervisor, they were told, “We’re just playing, why do you people take things so hard?” Andrew Jackson might have said something similar to the Native Americans his troops were escorting to their new home during the Trail of Tears campaign. When they repeated their complaints, one was fired and the other demoted. Tesla is rapidly developing a reputation for thuggish behavior whenever a suggestion is made that it has done anything wrong. It hit back hard against the National Transportation Safety Board after the NTSB chided Tesla for releasing information about a fatal crash in California. When the NTSB removed the company as a party to the investigation last week, Tesla responded angrily. “It’s been clear in our conversations with the NTSB that they’re more concerned with press headlines than actually promoting safety. Among other things, they repeatedly released partial bits of incomplete information to the media in violation of their own rules, at the same time that they were trying to prevent us from telling all the facts.” Tesla says it plans to complain to Congress, according to a report by Wired. The company insists it takes all forms of harassment in the workplace seriously and requires all employees to watch anti-discrimination videos as a condition of their employment. It says it can find no record of any complaints by either of the plaintiffs other than one weakly worded email. Of course, the people who interacted with the two men are not likely to have memorialized their bad behavior in writing, now are they? The family has since filed suit against the company, which provoked this blast from Mother Tesla: “The reason that other families are not on TV is because their loved ones are still alive.” How’s that for compassion? Will Some Be More Underrated Than Others? In case you are wondering what any of this has to do with you, consider this: The company, despite its record of doing wonderful things and building amazing cars, has shown repeatedly that it is prepared to bite those who dare cast it in an unfavorable light. It has personal data on every driver of every car it has ever manufactured. If, perchance, you are one of those drivers and have a misadventure with your car — which could be as minor as a complaint with your local service facility — can you reasonably expect the company to fairly consider your situation? Will it use the data it collects about you to throw you under the bus — figuratively speaking, of course — if you are involved in a collision? I anticipate some of the Tesla faithful will have harsh things to say about me for raising such issues. All I am saying is that Tesla and its customers have a warm and fuzzy relationship right now. But as hundreds of thousands, if not millions, of people join the Tesla family, disputes are inevitable. Elon now says humans are underrated, but those who risk swimming against the tide of good feeling that surrounds the Tesla brand may find themselves more underrated than they ever thought possible.